My wife and I had an excellent meal there last night (18th April 2014) we highly recommend both the lamb shank and mixed grill mentioned above. Both were superb and the quantity meant that our decision to not have a starter first was a good one. Will definitely try again next time we are in Paddington basin on our boat. 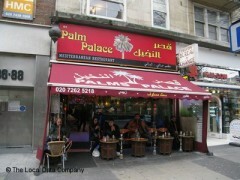 I went here for dinner last Monday (April 12, 2010) with my two daughters and I found the staff to be very friendly. Service was excellent. So was the food, and very generous servings. My oldest daugher had lamb shank which she enjoyed, my youngest had mixed grill (great selection of kebabs) which tasted delicious, and I had mezes, aubergine, falafal and borek, all good. The drinks were a bit expensive, ayran and mint tea but the food I thought was very reasonably priced. Didn't have shisha. Was made to feel so welcome we are going back again.